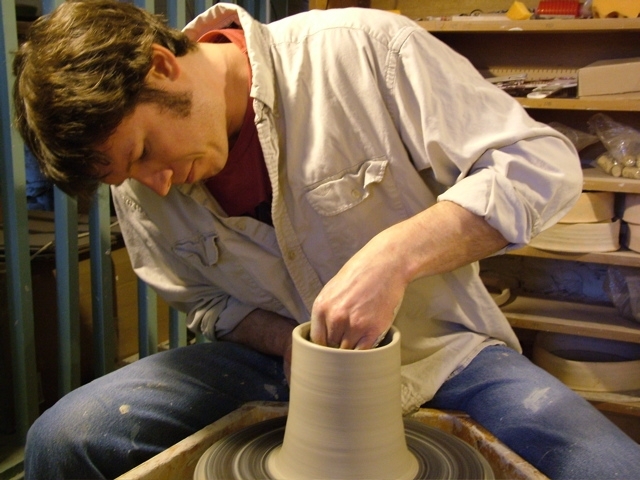 Marty Fielding became captivated by clay as an anthropology major at the University of North Carolina at Greensboro. He continued his study of ceramics as a student and teaching assistant at Penland School of Crafts. Marty received an MFA from the University of Florida. He has taught in institutions including SUNY New Paltz, the University of Georgia Studies Abroad in Cortona, Italy, Florida Atlantic University and Middlebury College. Fielding’s work has been included in invitational and juried exhibitions locally, nationally and internationally. Articles and Images of his work are published in several books and magazines such as Ceramics Monthly, Pottery Making Illustrated, and Clay Times. He lives in Raleigh, NC with his wife Tiffany and daughter Isa.